On the dark streets of 1950s London, when homosexuality was illegal, you hear a camp young man screech, “Vada the lallies on the omee ajax, Duckie!” Welcome to Polari, a deliciously cheeky secret code that allowed gay men and lesbians to communicate safely in a time when you had to keep your sexuality a secret. 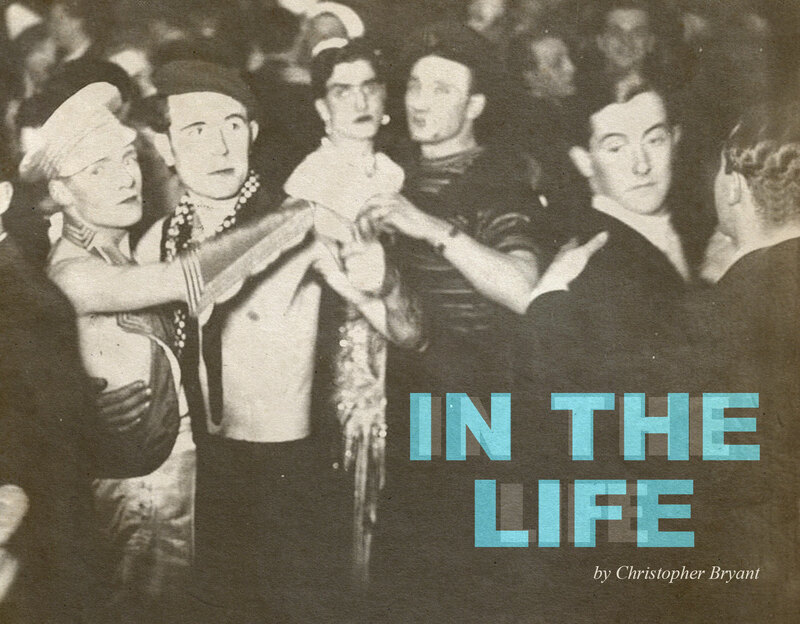 In the Life is a laugh-out-loud romp through history, with sketches and glorious Musical Numbers, which explores how Polari came into being. Featuring James Vaughan, David Charles, Bryon Fear, Barry Heselden and Spitting Image’s Steve Nallon, with glorious songs performed by the bubbly Champagne Charlie! In the Life will be followed by a live music performance in the bar by Marcus Reeves and Steven Smith.